Many of you asked when you'll be able to share albums from the mobile app. We're happy to say today!! Xero is hero in Australia but QuickBooks reigns in the U.S. It's been a HUGE week for our dev team and they are really looking forward to the weekend (even more than usual). 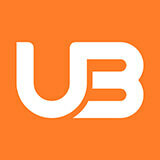 Ubookr has just reached 10,000 users and now we're setting our sights on reaching 20,000. Real estate photography - what rules? I’ve been shooting real estate photography for a long time now and over that time I’ve shot thousands of homes. I thought I’d probably seen and photographed everything, so the rest of my career was going to be a sausage factory.